Being involved in a car accident can be a detrimental occurrence. The medical bills that pile up can literally destroy a person financially. Unfortunately, many people only focus on their physical health after these incidents. In reality, the intensity and sometimes viciousness of these collisions can actually lead to emotional distress and mental health issues. It is imperative for every accident victim to be able to recognize the signs of emotional distress after an accident and know how to deal with them. Auto accidents can be traumatic events, and a person may not even realize that an accident is what is leading to their emotional distress. If a person starts to notice any of the following symptoms after a collision, however, it’s important to take action. Insomnia affects many people after a serious accident. They may simply be unable to sleep, or they may be plagued by constant nightmares of the incident. This can lead to fatigue throughout the day, which can make a person less alert and also lead to agitation. While agitation can be caused by insomnia, it may also occur on its own after an auto accident. This could be a sign of a serious physical injury or just intense emotional distress, and unfortunately, it can affect a person’s relationships with loved ones. Depression is another common side effect of serious auto collisions. Consistently feeling sad and a loss of enthusiasm in doing anything could point towards a newly formed depressive disorder. One of the most taxing mental outcomes of a car wreck is fear and anxiety. A person may stay in constant fear that something else is going to happen to them. Even worse, they may be completely unable to drive in a vehicle due to the anxiety they experience when inside of one. Unfortunately, many of the aforementioned symptoms can also lead to a person withdrawing from their loved ones. Becoming antisocial or just wanting to be alone after a collision may be a sign of a bigger issue. If an individual experiences any of the aforementioned symptoms or any noticeable change in behavior after being involved in a car accident, it’s imperative that they seek immediate help. A person’s doctor should be able to provide a referral to a psychologist or therapist. These professionals will be able to help an individual get over the underlying cause of their new behavioral irregularities and work towards feeling normal again. Unfortunately, medical costs can skyrocket for those who have to seek help for physical and emotional problems caused by an accident. Luckily, if an individual retains a local personal injury attorney after their accident, there is a good chance that they can recover costs related to their emotional treatment as well. Emotional distress caused by an accident related to a negligent driver should never be faced by a victim alone, and luckily, many courts will award a victim the costs of their emotional treatment and additional amounts for the increased pain and suffering they’ve experienced. Finding a local personal injury attorney can be simplified by doing an online Google search. Input the area pertinent to the occurrence of the accident and the kind of professional needed. For example, Google “New York City personal injury attorney.” A person can obtain a long list of local attorneys that they can view online, including the areas of law the individuals may be experienced in, and possible reviews about them. Unfortunately, emotional distress is often looked at as a weakness in American society, but a person who experiences an auto collision should quickly get over this inaccurate assumption. 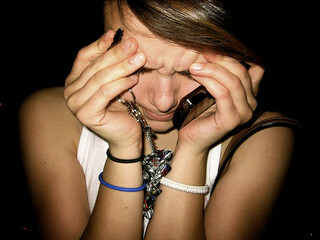 Anyone can experience emotional problems after a seriously detrimental or tragic event, and this includes car accidents. What’s important to remember is to immediately seek help if these issues do arise. Without the proper help, a seemingly simple accident can turn into a tragedy. Lisa Coleman shares some signs of emotional distress that can occur following a serious accident that are important to recognize and receive help with. At the Perecman Firm, PLLC, a New York City personal injury attorney, an experienced attorney can help an individual with the financial aspects following an auto accident and help recover money for their client in order to be sure that they can receive the appropriate medical attention that might be needed.